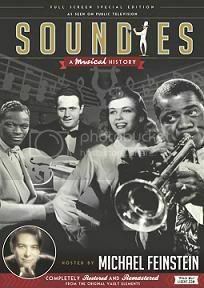 Before MTV, there were “soundies.” First appearing in 1941, these three-minute “music videos” played in famous nightclubs and restaurants everywhere, featuring many of the legendary musicians of that era. For the price of 10 cents, audiences enjoyed artists such as Duke Ellington, Count Basie, Louis Jordan, Louis Armstrong and Cab Calloway – all viewed through a movie jukebox placed in nightclubs and bars. Hosted by Michael Feinstein, four-time Grammy nominee and one of the premiere interpreters of American song, the program also contains interviews with some of America’s most famous musical and cultural icons – including Wynton Marsalis, Les Paul, George Duke, Hugh Hefner and film historian Leonard Maltin. Visit www.soundiestv.comand enter for your chance to win autographed Soundies posters and CDs, as well as see when Soundies is playing on your local PBS station.